Amazing vapour for its size. I have a bigger version of this - but it is simply too big and heavy. This fits easily in the hand and great for stealth vaping ! 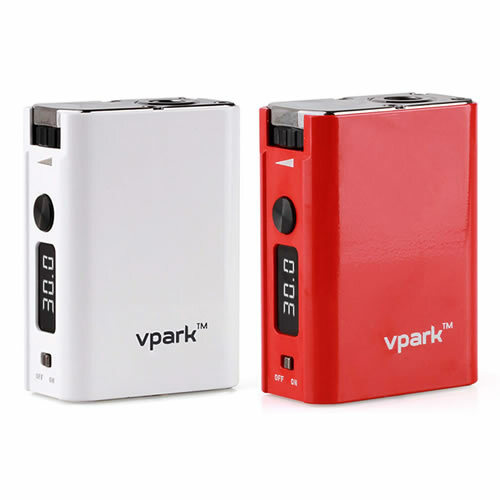 As it is a mini version - battery needs recharging every night - but not a problem as I just take 1 or 2 blasts of vapour and I am satisfied until I next need it. I find with this I am actually vaping less due to the satisfaction received in those 2 blasts. Straight away the quality of this kit is immense. Compared to my previous kits - this is definitely a big big step up. I think the real magic is in the tank provided witht he kit - it seems very robust and power packed, nothing like the tanks I have owned before. The same tank works perfect with my Snyper mod battery - real bonus ! It looks a little complicated when you get it - but after 5 minutes of use it all becomes second nature - another brilliantly designed easy to use kit by nucig - well done !